For this I couldn't pick just one character. In the Harry Potter series there are so many strong, smart women: Hermione, Ginny, Luna, Mrs. Weasley, Lily Potter, Tonks, even the "bad" women like Bellatrix Lestrange are highly skilled. 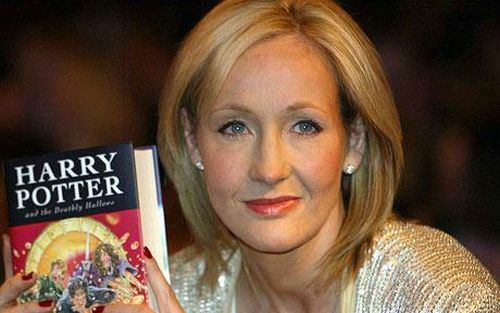 Rowling does an amazing job writing women in the world she created with Harry Potter. I like when she talks about how in the world of magic men and women are equal because magic doesn't require muscle or strength; magic requires knowledge. And because of that I think characters like Hermione become the heroes because of what they can do with their minds. Thanks for the great characters, J.K.! Who is your favorite female character(s)? Comment and let me know what you think!